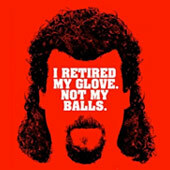 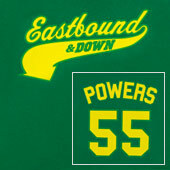 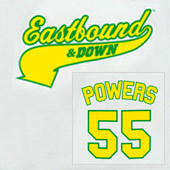 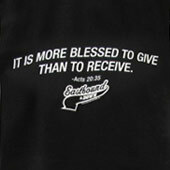 Eastbound and Down jersey T-shirts featuring the show’s logo in baseball style font, with “Powers #55” on the back of the shirt. 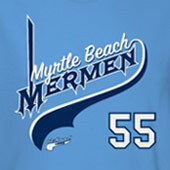 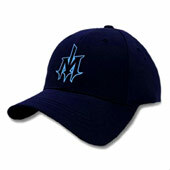 Myrtle Beach Mermen shirts and hoodies are new for this season! 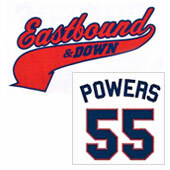 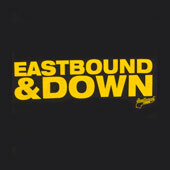 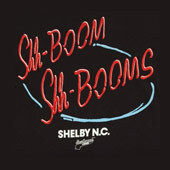 Tees with logo from the opening title sequence of Eastbound & Down, or Shh-Boom Shh-Booms bar sign. 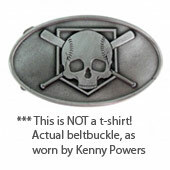 Now you can own Kenny Power’s famous baseball skull beltbuckle (actual beltbuckle, not a shirt). 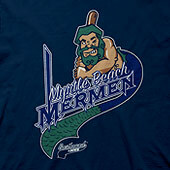 The Myrtle Beach Mermen mascot logo is new!